30-99m Twmpau - Welsh hills at and above 30m and below 100m in height with 30m minimum drop, with an accompanying sub list entitled the 30-99m Sub-Twmpau with the criteria for this sub category being all Welsh hills at and above 30m and below 100m in height with 20m and more and below 30m of drop, with the word Twmpau being an acronym standing for thirty welsh metre prominences and upward. 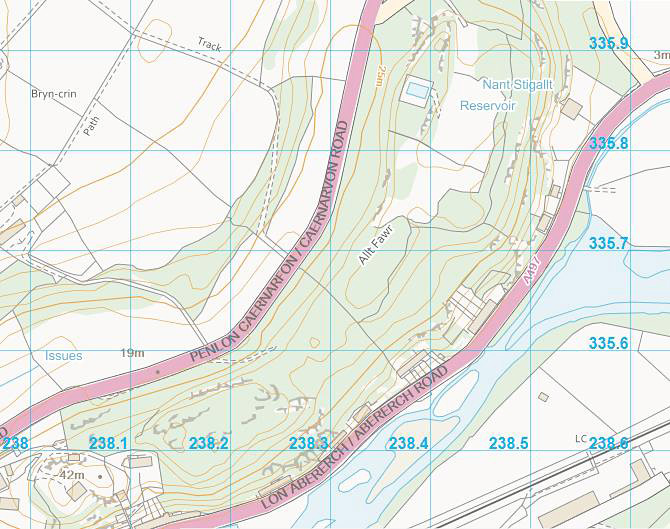 This hill did not appear in the accompanying Hills to be surveyed sub list when the original Welsh P30 hills were published on Geoff Crowder’s v-g.me website as it did not meet the criteria for this sub category; however this sub list has now been standardised and interpolated heights also included. Prior to LIDAR analysis this hill was listed with an estimated c 18m of drop based on an estimated summit height of c 46m with the hill being given three uppermost 45m ring contours on the Ordnance Survey Interactive Coverage Map hosted on the Geograph website and an estimated bwlch height of c 28m based on bwlch contouring at 5m intervals and between 25m – 30m on this same map. The name of the hill is Allt Fawr and it is adjoined to the Pen Llŷn group of hills, which is situated in the north-west part of North Wales (Region A, Sub-Region A1), and is positioned with the A 499 and the A 497 roads to its west and east respectively and has the town of Pwllheli towards the south-west. If wanting to visit the hill permission to do so should be sought as it is not a part of designated open access land and does not have any rights of way on it. 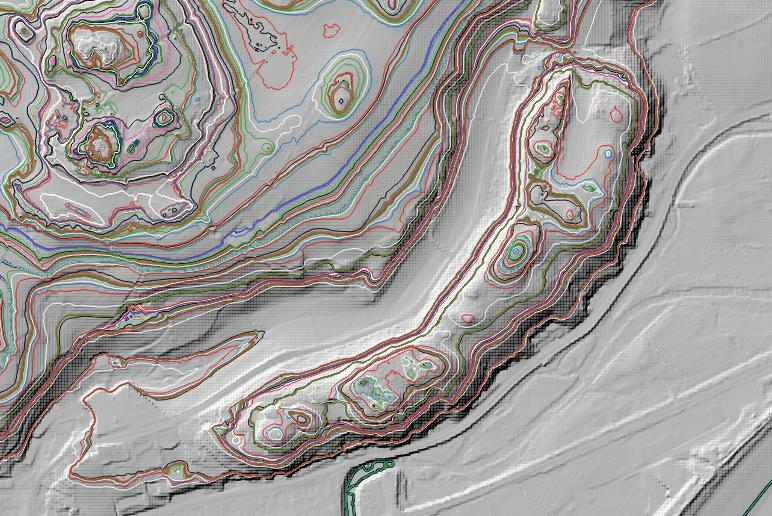 The addition of Allt Fawr to 30-99m Sub-Twmpau status is due to LIDAR analysis conducted by Myrddyn Phillips. The LIDAR (Light Detection & Ranging) technique produced highly accurate height data that is now freely available for much of England and Wales. Therefore, the 48.889 LIDAR analysis for the summit position at SH 38347 35695 and the 25.753m LIDAR analysis for the bwlch position at SH 38411 35961 gives this hill 23.136m of drop, which is sufficient for 30-99m Sub-Twmpau status. Three other tops were also analysed by LIDAR on the hill of Allt Fawr, resulting in the following; 46.569m at SH 38145 35521, 44.962m at SH 38406 35898 and 44.944m at SH 38383 35833.